Are you looking for a delicious apples recipe with a difference? If you are, you’ve found it! Here’s my classic italian apple strudel for you to enjoy. This dessert is usually associated with Germany and Austria, but it is also often prepared in the northern regions of Italy. 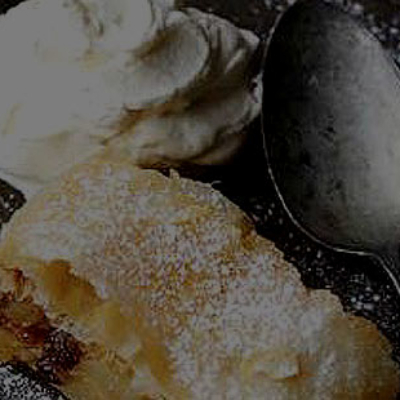 Although the classic strudel is made with apples, it can also be made with other fruit fillings such as cherries, peaches or pears, depending on the time of year and what fruit is in season. A fantastic dessert that can be eaten warm or cold, as a pudding or served at teatime. You could make the filo pastry from scratch, but it is fiddly and time-consuming, so it’s much easier to buy frozen or fresh filo pastry, which you can find anywhere. 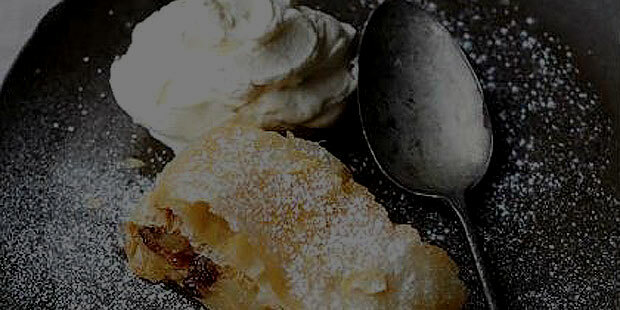 Feast your eyes on the finest classic italian apple strudel! It’s straightforward and fun to make this great dish. Simply follow the instructions below and get the perfect result. Preheat oven to 190°C/gas mark 5. Place the raisins in a small bowl with the orange zest and juice, and set aside to soak. Peel the apples and discard the core. Cut into 1.5cm cubes and transfer to a small saucepan. Add the butter, 100ml of water and sugar and gently cook for 6 minutes, until the apples have softened but still retain their shape. Remove from the heat and mix in the cinnamon and vanilla extract. Stir in the raisins with the juice and the breadcrumbs to combine. Set aside and leave to cool. To make the pastry, brush a little melted butter over a large baking tray and place the first sheet of filo pastry in the greased tray. Keep the other filo sheets under a damp tea towel to prevent them drying out. Then brush the first sheet with a little more butter and repeat the process with the remaining sheets of pastry, placing them on top of each other. Spoon the apple mixture along the middle of the pastry and carefully roll up the long sides around the filling like a cigar. Tuck in the short ends and transfer to the baking tray, seam-side down. Brush all over with the remaining melted butter and bake in the oven for 20 minutes, until golden and crispy. Dust with icing sugar and serve hot or warm with a dollop of mascarpone. 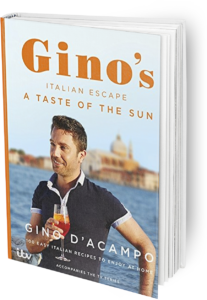 Once you’re done, simply sit back and enjoy your classic italian apple strudel and don’t forget to check out other great authentic Italian recipes including great antipasti recipes, Italian pasta recipes, Italian soup recipes, Italian beef dishes and authentic pizza recipes.